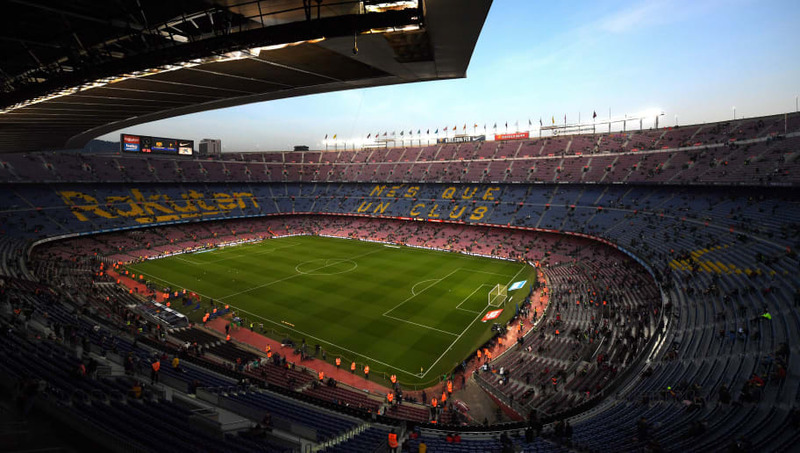 Plans for the renovation of Barcelona's iconic Camp Nou stadium have been altered, while work is set to begin in May 2020 and last until 2023. Barça were given the green light for the plans to increase the capacity of Europe's biggest football stadium to 105,000, as well as adding a new roof last year, after the ​club reached an agreement with the local government on their 'Espai Barça' project. Recently, it was also announced that ​the redevelopment would incorporate 5G mobile technology, making it the world's first stadium to do so. ​​According to ​Mundo Deportivo, the remodelling - which will occur between 2020 and 2023, without ​Barcelona having to find a temporary home in which to play - will now begin with the third tier of Camp Nou's grandstand, rather than the first tier, as originally planned by architects Nikken Sekkei and b720 Fermín Vázquez. Season ticket holders will be temporarily relocated to new seats while work goes on, and MD reports that the reason for the change of plans is that it is "necessary to build the third tier before collapsing the first, to make it more vertical, with fewer rows but with better visibility." However, MD does concede that with the old roof removed during construction, fans run the risk of getting wet for a season-and-a-half while work is completed. The reported completion date in 2023, after three seasons and four summers, is also a year later than previously officially suggested by Barcelona. Although the official estimate puts the cost of Camp Nou's redevelopment at €360m, the total budget for the 'Espai Barça' project, which includes a new indoor arena for the club's basketball, handball, roller hockey and futsal teams has been estimated at €600m.